Beauty aficionados often turn to at-home methods when they tire of drugstore and salon products and wish to try something new. Homemade shampoos can also save money in the long run. Depending on your hair type and unique concerns, you can easily select a shampoo recipe that is sure to benefit your mane - and find some new uses for those products you never thought you'd see in your bathroom! Tea tree oil is a veritable miracle worker when it comes to keeping the hair and scalp in great condition. Not only is it renowned for its ability to keep dandruff flakes and head lice at bay, it's also a natural scalp soother. Its naturally fresh, aromatic scent leaves the hair smelling clean, while its tendency to smooth flyaway hairs is a godsend for anyone with an unruly mane. Exercise caution when using tea tree oil; do not use more than the recommended amount, and discontinue usage if you develop an allergic reaction. An 8 oz. bottle of unscented shampoo. A great choice is Aveda's Personal Blends Shampoo Formula, which is specially formulated to be mixed with the essential oil of your choice. Add 15 drops of tea tree oil to the shampoo bottle. Shake gently to allow the oil to disperse. Though it's not always the case, African-American hair tends to be brittle, dry, and coarse. This type of hair won't benefit from the most common ingredient in most store-bought shampoos, sodium laureth sulfate (SLS). SLS is a detergent that can cause dryness in certain individuals. Products containing moisturizing, soothing ingredients can drastically change the condition of hair. Bring water to a boil and add soap, letting it dissolve. Add eggs, Borax and bay rum. If your hair is dry (or even more on the normal side), but not considered coarse, try using this simple and effective egg shampoo recipe. Using a blender, mix the products together for 30 seconds on low speed. After massaging into the hair and scalp, rinse thoroughly with lukewarm water. Note: The egg will begin to set if the water is too hot! You sip it in tea right before bedtime, so why not massage it into your hair? The soothing properties of chamomile are just as evident in shampoo as they are in a hot beverage. In addition to relaxing your senses with its aromatic fragrance, chamomile shampoos are gentle enough for all hair types. Individuals with light hair often turn to this herb when they want to enhance their highlights. Don't worry - chamomile won't color your hair, but it will provide you with an enviable shine. Bring the water to a boil and add the tea bags. Allow them to steep for 10 minutes. Remove the bags and add the soap flakes into the liquid. Let it rest until the soap softens. Stir the glycerin into the liquid, blending until perfectly smooth. If your hair is normal to dry, this shampoo that contains avocado oil will help nourish it, while leaving it silky smooth. Add chamomile to the mixture if you have light hair; add the rosemary if your hair is dark to help bring out your natural highlights. Bring the water to a boil, then remove from heat. Put the loose herbs into a tea strainer and steep in the boiled water for 20 to 40 minutes. Mix the oil and Castile soap into the mixture once it's done steeping. Pour into your old shampoo bottle. If your hair is on the oily side, this shampoo that contains tea tree oil and sage will help to remove the oil, while leaving your hair soft and smelling clean. If you prefer to use Castile flakes, use four ounces to one quart of water. Add the soap flakes to the boiled water, before adding the herbs. 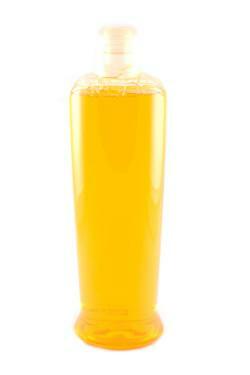 It is important to note that most homemade shampoos do not have the same shelf life as those purchased in stores. Unlike store-bought shampoos (which typically last up to three years), they lack preservatives. These preservatives are often the culprit in causing irritation to individuals with sensitive skin. Unless otherwise specified, store homemade shampoos containing dairy ingredients, such as eggs and milk, in the fridge. This will prolong its shelf life, but the majority of homemade shampoos will not remain fresh longer than one week even with refrigeration. If your skin is hypersensitive, conduct a patch test of the shampoo on your inner elbow or behind the ear and keep an eye on it for irritation. Regardless of your hair type and styling needs, you can make your own shampoo at home. Experiment with these recipes to find the right combination of ingredients for your hair and see your locks come alive.